We also provide an entire line of aluminum barcodes for heavy duty applications. These barcodes come in code 128 and Data Matrix. 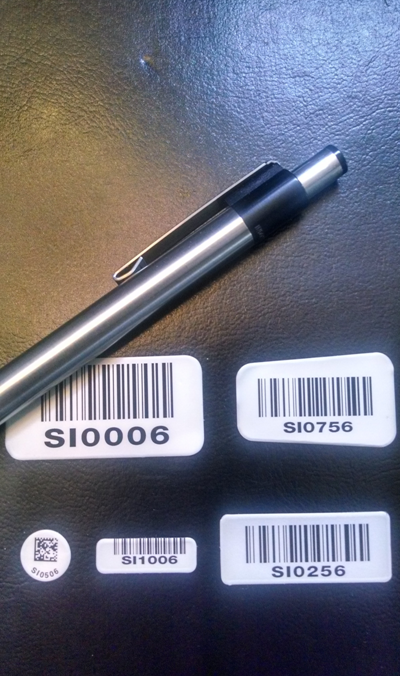 We can also assist with permanent tags or ID Barcodes for Institutional inventory purposes on equipment.